Antivirus software helps identify, prevent, and remove viruses from a computer: its auto-update feature would list new viruses, thereby enabling detection and removal of new threats. We need antivirus software because, in today's world, any computer that doesn't have an effective antivirus software installed on it would get infected with many viruses within minutes of connecting it to the internet. Similarly, a system without an antivirus would also get infected by viruses coming in through devices connected to it or via spammy links that are sent across through emails or chats. Today computers (and other devices, like a smartphone or a tablet) are subjected to a constant bombardment of all kinds of malicious software, which seek to harm the system or get away with sensitive data that can be used for other criminal activities. Antivirus software can either be free or paid. There are some basic differences between the free and paid versions. Free antivirus software mostly happen to be programmed to do signature-based detection, as per which malware detection happens matching signatures with an existing list of identified signatures. On the other hand, paid Antivirus Programs use the much more advanced heuristic technique to capture advanced threats as well. This would include even sophisticated zero-day threats. Paid antivirus programs work by executing malicious files in a virtual space, through sandboxing, an advanced method of containment. An antivirus program works by scanning files, directories or the whole system/device itself for malicious files or programs. Any malicious code that's detected would be notified to the user and when asked to clean, the antivirus would clean it. Thus, on the one hand, the antivirus software keeps the system free of malware and thus prevents data theft and other serious damages, while on the other hand, it prevents the system from slowing down due to malware infection. An antivirus software thus improves system performance on the whole. 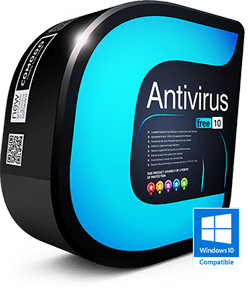 A huge flow of viruses have been released due to the always-on connections of broadband, and hence the need of frequent antivirus update has become more important. AV-TEST announced that it has hosted 5,490,960 new different malware samples in its database only for the year 2007. Malware samples ranging from 300.000 to 500.000 were hosted in the database per day between 2012 and 2013.